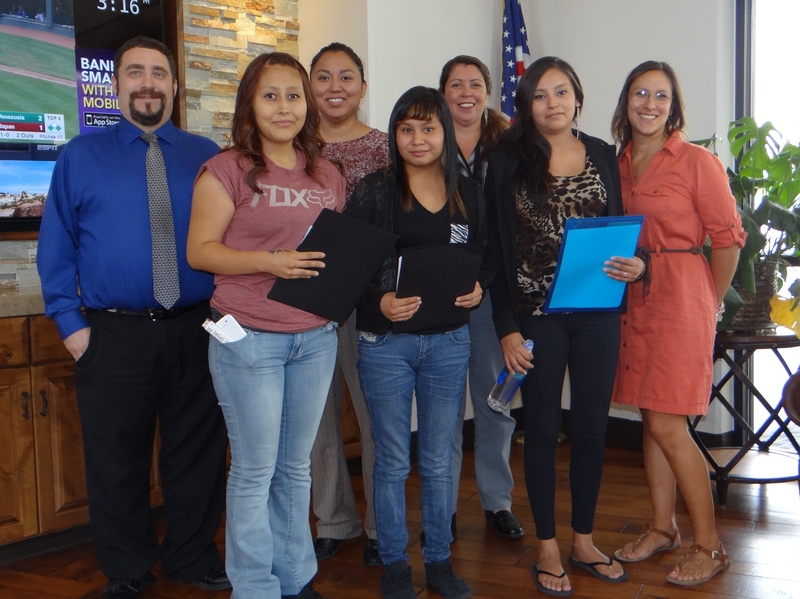 Native American high school students are learning the ropes of financial fitness in Gallup, New Mexico. 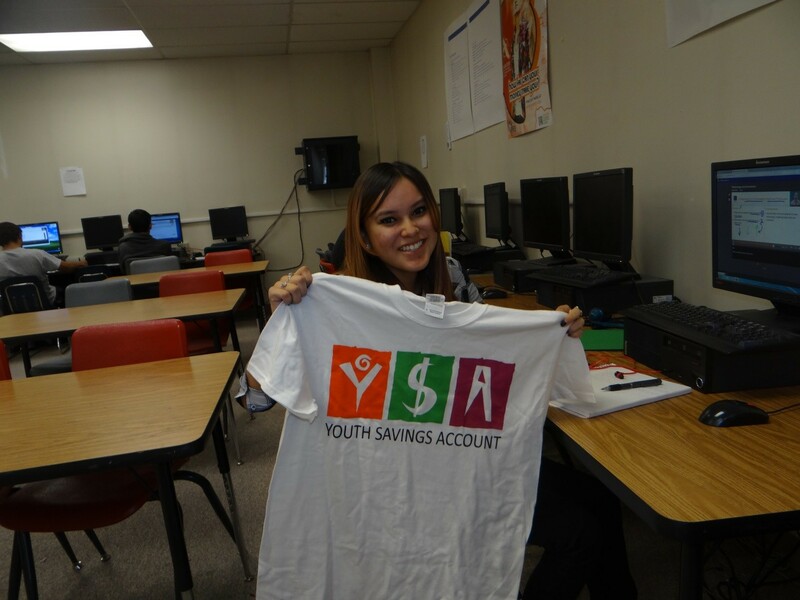 Recently, 19 student-parents in grades 9-12 took charge of their financial futures and visited Pinnacle Bank to open up Youth Savings Accounts (YSAs) for themselves and Children’s Savings Accounts (CSAs) for their young children. Bank representatives also walked students through how they could access their credit reports. With generous funding from the W.K. Kellogg Foundation, First Nations Development Institute (First Nations) is teaming up with longtime partner Gallup Central High School (Central High) to facilitate a multi-modal financial education program that includes opening savings accounts. First Nations is providing initial seed deposits of $50 for each of the accounts. Part of a statewide initiative in New Mexico focused on providing support and education to pregnant and parenting teens, Central High houses the Graduation, Reality and Dual-Role Skills (GRADS) class for student-parents. Starting in the fall semester of the 2015-2016 academic year, GRADS students are now receiving lessons in financial topics such as safe banking products, budgeting and creating savings goals. First Nations was interested in working with the GRADS program at Central High because of the unique opportunity to provide dual-generation support to Native American parents and their young children. Furthermore, past research by First Nations has discovered a large number of high-cost payday lending institutions in Gallup and the surrounding community that saturate the market with poor check-cashing and borrowing options. Young parents struggling with finances are especially vulnerable to these institutions. Working with faculty at Central High, First Nations is implementing an initiative titled the Well-Being in Student Health and Financial Self-Sufficiency (WISHSS) that includes opening savings accounts in conjunction with financial education lessons for GRADS students. As part of the initiative, the GRADS program offers financial education in a variety of formats including guest lectures from financial experts, experiential learning events, as well as through a social media application that encourages good spending and savings decisions. The MoneyThink mobile app is designed like Instagram, whereby students are given challenges to snap pictures of items they are savings for or recently purchased. Fellow students can weigh in through comments and polls to determine if their classmate made a wise or not-so-savvy financial decision. Between late August and early September 2015, the GRADS teacher shuttled groups of three to six students to local bank partner, Pinnacle Bank, to open up accounts for students and their children. In total, 19 students opened accounts for themselves with an additional 14 for their children (some students are expecting and will open up CSAs for their children once the babies are born). The initial deposit for both accounts was provided by First Nations, but students are expected to save and deposit at least $50 throughout the school year. A match of $50 will be provided to students who can meet their savings goals. After a few weeks, several student have already begun making contributions to their accounts! The YSA and CSA accounts are currently custodial accounts, which require advanced consent from the custodian (First Nations) to make a withdrawal. Students will have a variety of options to take complete ownership of their accounts at the end of the WISHSS program. Prior to the WISHSS initiative, only three students indicated having bank accounts. Moreover, student surveys suggested that the majority of the class had very little experience with banking institutions and safe banking products available to them. Students were excited to open accounts and begin the savings habit. Many students established savings goals such as for purchasing a car, saving for college, and a future apartment or house. Student parents are allowed to enter the GRADS program on a rolling basis throughout the academic year. First Nations and Central High will continue to work with Pinnacle Bank to open accounts as the school year progresses.